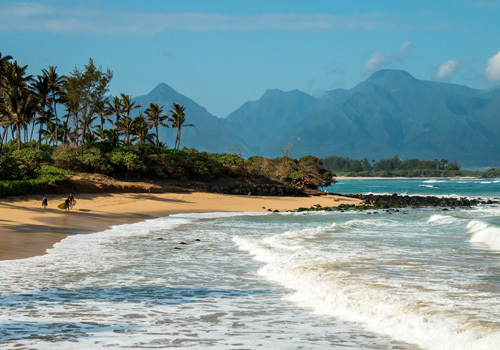 The quaint, small-town charm of Paia. The lush, rainforest beauty of Haiku. The enthralling seaside community of Spreckelsville. World class surfing, windsurfing and kite surfing at Hookipa and Peahi, otherwise known as the famous “Jaws” surf mecca. All of this and more awaits you on Maui’s famed North Shore. Incredible seaside homes, hideaway homes in a forest of jungle greenery, and many more options await your discovery. If the outdoors and adventure draw you to this area, or just the privacy of being away from it all to relax, enjoy and contemplate the beauty of these unique lifestyle locations, then North Shore Maui may be just where your dreams are made real.